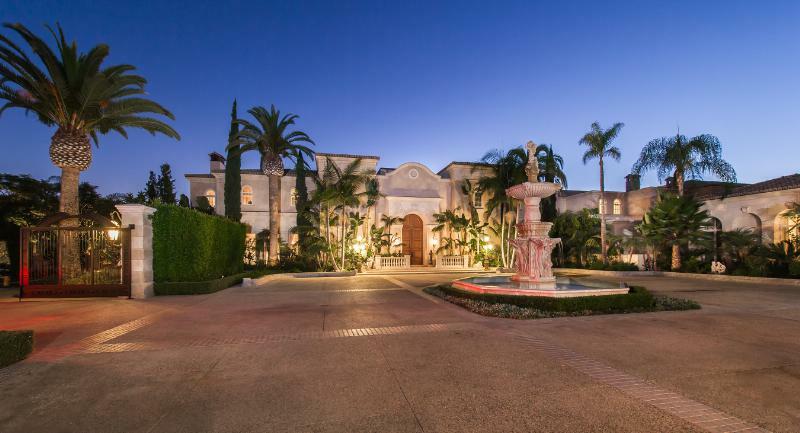 Rare 25-Acre Gated Mediterranean Compound in Beverly Hills. Photo via PRNewsFoto/Coldwell Banker Real Estate LLC. The median price of a home in Los Angeles County rose by 5.9 percent in March, compared with the same month a year ago, while the number of homes sold dipped by 1.4 percent, a real estate information service announced Monday. According to CoreLogic, the median price of a Los Angeles County home was $506,000 last month, up from $478,000 in March 2015. A total of 6,610 homes were sold in the county, down from 6,706 during the same month the previous year. In Orange County, the median price was $625,000 last month, up 6.8 percent from $585,000 in March 2015. The number of homes sold rose by 0.8 percent, from 3,156 in March 2015 to 3,181 last month. A total of 20,370 new and resale houses and condos changed hands in Los Angeles, Riverside, San Diego, Ventura, San Bernardino and Orange counties last month, according to CoreLogic. That was up 34.5 percent from 15,149 in February and up 1.9 percent from 19,987 in March 2015. The median price of a Southern California home was $449,000 in March, up 4.4 percent from $430,000 in February and up 5.6 percent from $425,000 in March 2015.